A growing investment management theme over the last few years has been the incredible shrinking alpha. 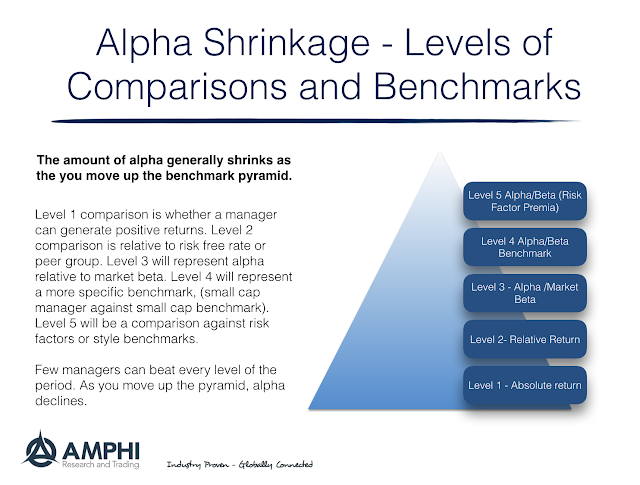 As investors gain more information on risk premia, there seems to be less alpha produced by managers. In reality, alpha production has likely not changed, but our measure of alpha has gotten more sophisticated so the skill associated with any manager seems to have declined or at least changed over the last decade. We can now tie what was previously thought of as alpha to specific risk factors. If alpha is tied to systematic risk factors, then it really is not alpha. The measurement of shrinking alpha can be described in an alpha pyramid. As investors better define portfolio risks, the skill of the manager will shrink. It is harder to prove skill when we account for risk premia correctly. (See our previous post, The incredible shrinking alpha - Falling skill or alternative definitions?) 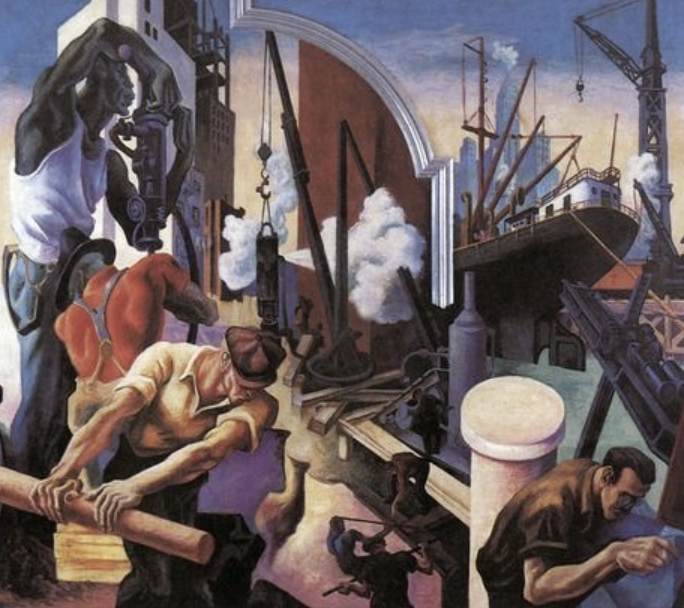 It is hard to get to the rarified place of skill after accounting for risk factor premia. It can be affective to think through the process of moving up the alpha/beta pyramid. A stronger beta filter will reduce the number of managers who are special alpha producers. As we enhance our skill at measurement, the manager alpha skill has been more difficult to find. If the majority of returns are associated with risk factors, there will be less room for alpha. If this is true, then building risk premia portfolios may better serve the diversification and return needs of investors. Find the betas that will enhance the return to risk of the portfolio and don't worry about finding that special skill manager. Of course, if you can find the high level manager hold onto him; that manager can indeed be very special. However, the search should be on finding the best risk premia mix.